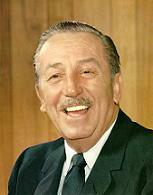 Walt Disney Quotations Top 10 List. Famous Walt Disney Quotes. Here's an impressive list of Walt Disney Quotations for you. Enjoy these great quotes! When you believe in a thing, believe in it all the way, implicitly and unquestionably. Get a good idea and stay with it. Dog it, and work at it until it's done right. All the adversity I've had in my life, all my troubles and obstacles, have strengthened me. Our heritage and ideals, our codes and standards - the things we live by and teach our children - are preserved or diminished by how freely we exchange ideas and feelings. Our greatest natural resource is the minds of our children. I hope you've enjoyed this Top 10 List of Disney Quotes.